Four days of beach hiking had left us sunburned and sore. 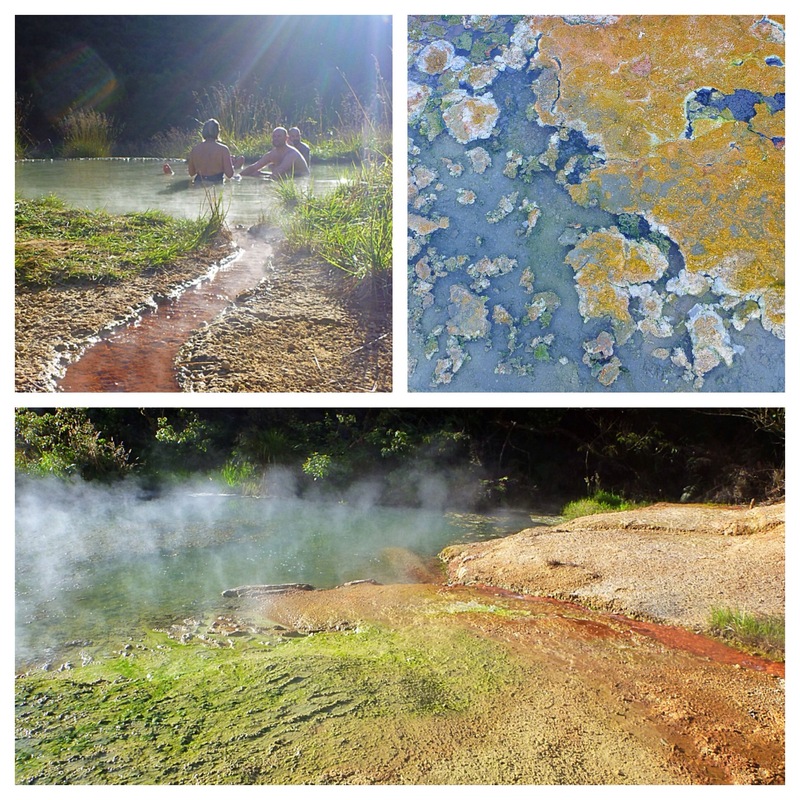 Naturally, a soak in some mountain hot pools was in order. So the five of us (two over 6-feet) crammed into a Toyota RAV4 for the 8-hour drive from Nelson, down the western coast of New Zealand’s South Island, to Fox Glacier. Welcome Flats Hut and Hot Pools are not part of the Great Walk system, but are mentioned in the Lonely Planet trekking guide for New Zealand. 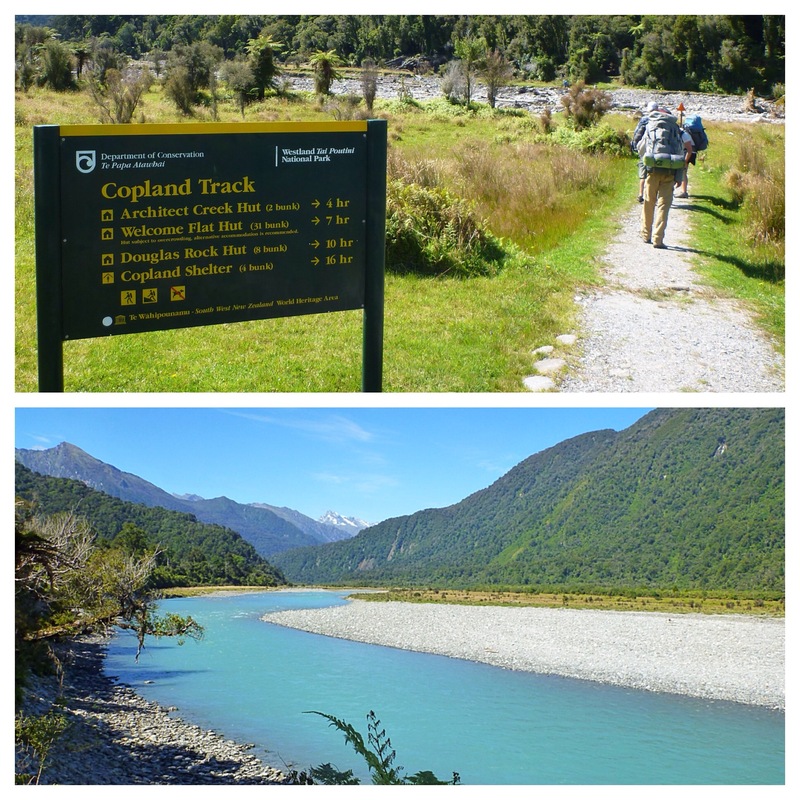 It’s essentially the first day of the Copland Track (when starting from the west coast) and makes for a great out-and-back one-nighter. 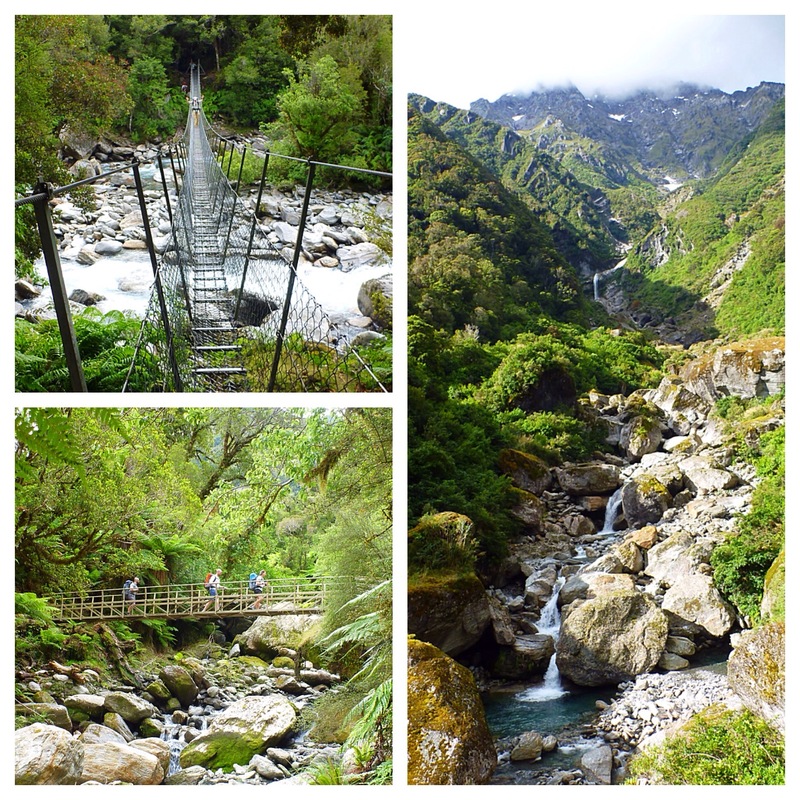 The trail picks up just after the small settlement of Fox Glacier. A great motivator for setting a hasty pace, the sandflies at the parking lot and at the first river crossing are incessant. (Time out for anyone who hasn’t experienced the pain and agony of a sandfly bite. The first plight of the sandfly, is that they come in swarms and you never just get one bite, you get a dozen, often within seconds. They are tiny and make no noise, so you can’t even feel them land of you until it’s too late. Secondly, their bite causes an intense burning itch and leaves swollen red marks that scar for weeks after. Once I had one bite my eyelid. In sum, they are the worst.) The path up to Welcome Flats Hut and Campsite (where the natural hot springs are) was a welcomed change to the environs of Abel Tasman. Instead of hot and crowded, the trail was shaded and solitary. We passed few people on our hike as we followed the meandering, brilliant blue river for nearly 8 miles before turning up the mountain’s side. 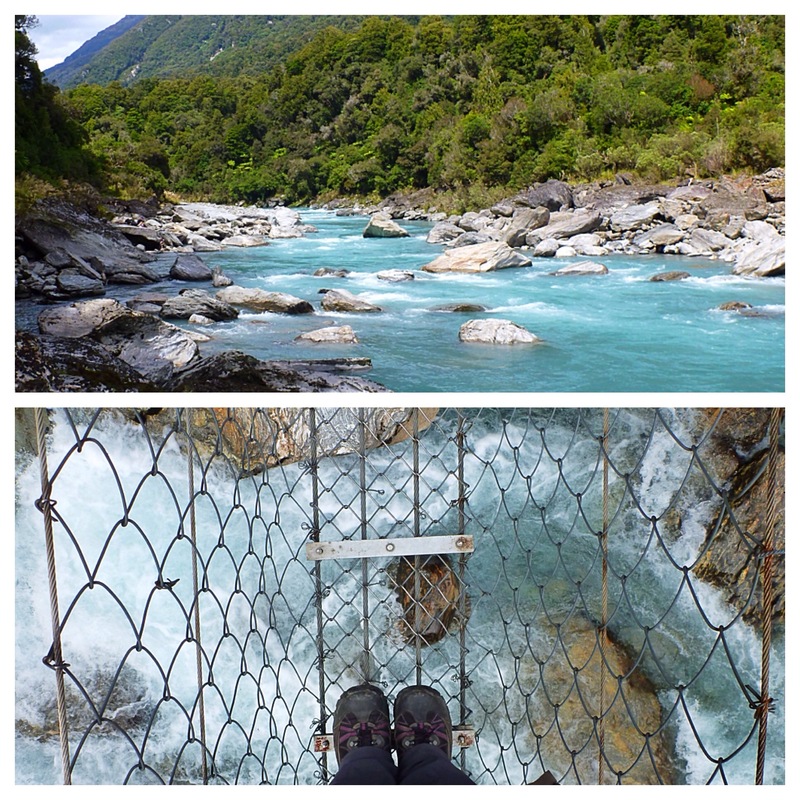 Having stopped by Franz Joseph glacier for a “pre-hike” that morning, we didn’t hit the trail until noon. 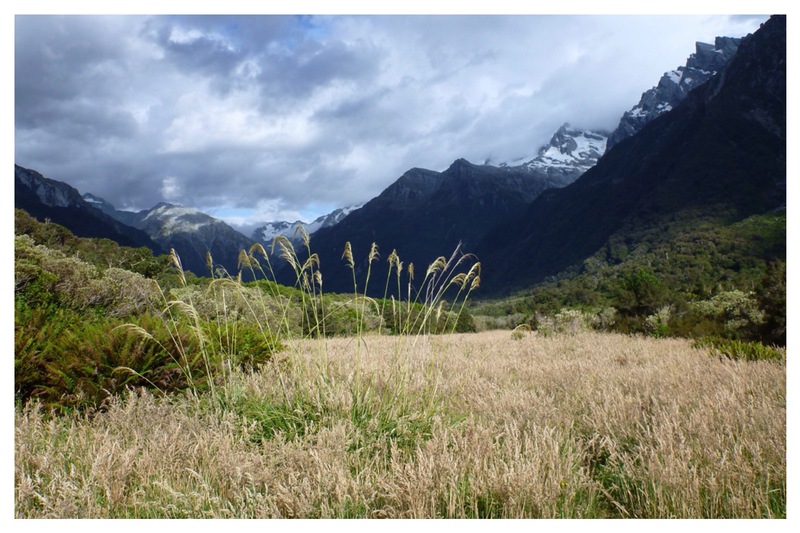 It took us six hours to reach the Welcome Flats Hut where we camped in a grassy field beneath the towering Southern Alps. It was just before dusk by the time we had pitched our tents, changed out of our clothes, and crawled into the shallow mud that smelled of sulfur and felt like bliss. We immersed our aching bodies for as long as we could tolerate the sandflies in our faces. 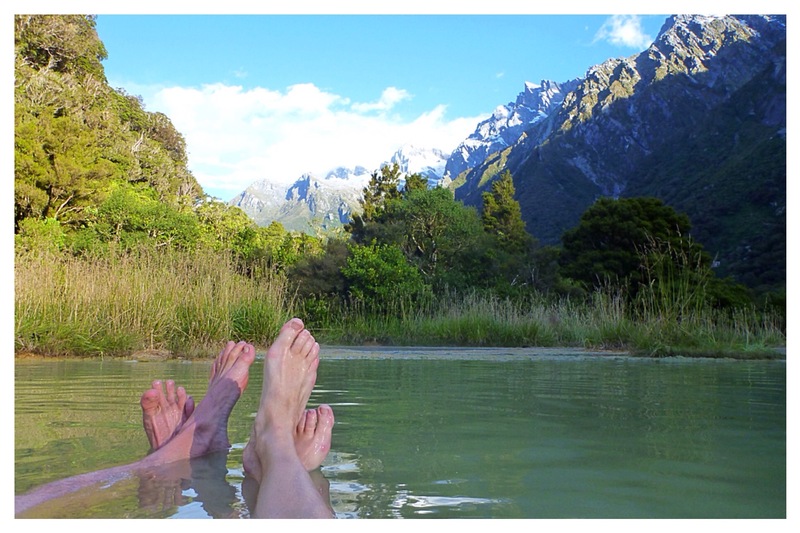 While the scenery at Welcome Flats Hut was stunning, the real reward came in the pitch blackness of night when we returned to the hot pools and soaked in sandfly-less peace, admiring the density of stars and unknown constellations above us.